Emily and Vinnie did not have as much time on their wedding day for portraits as they wanted, so they celebrated their first anniversary with a session at the beach. 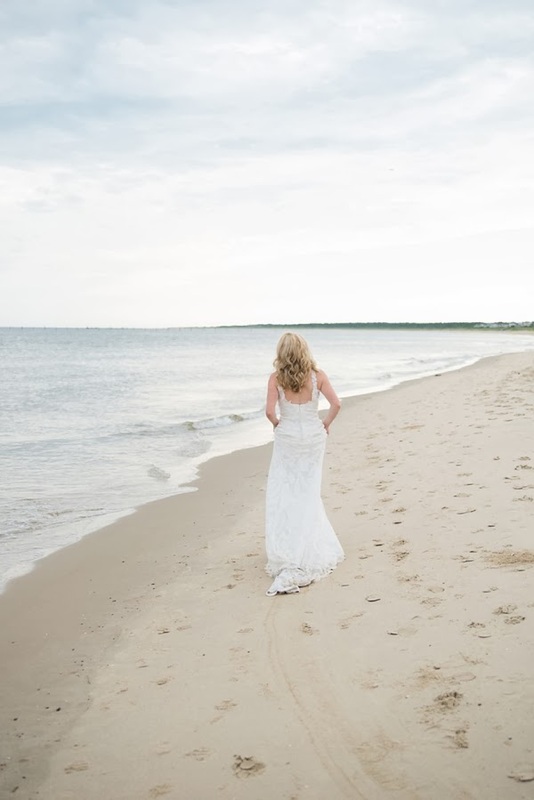 Since Vinnie wore his Army uniform for their wedding, he chose a more casual look this go-round and Emily wore her stunning Allure gown again. 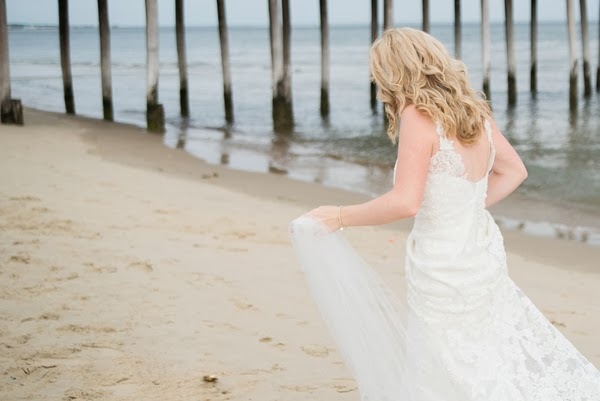 Captured by Caitlin Gerres Photography at the Lynnhaven Fishing Pier, these three met early in the morning when the light was soft and beautiful and the beach-goers were still in their beds.